Xequence is an advanced linear MIDI Sequencer and Keyboard / Controller for iPhone and iPad. It makes a great MIDI companion with apps like AUM. NOTE: This app does not produce any sound by itself! It can control OTHER apps or hardware via MIDI! – MIDI File Import: Import type 0, 1 or 2 standard MIDI files, including controllers, program changes and track titles, with various options and automatic creation of tracks and instruments. – MIDI File Export: Export type 1 standard MIDI files, including controllers, program changes and instrument titles, with various options (entire song, only selected parts, etc.). – MIDI Program Changes: Can be inserted on any tracks at any points in the song, with full backtracing just like with controllers (when changing song position, previous program changes are automatically found and sent). – Global Clipboard: Parts from any number of tracks can be copied and pasted (either linked or independent) between arbitrary tracks and song positions, or even between different projects. Extremely smart and robust handling of linked parts and track assignment. Options can be found in new “+” menu at the bottom left. – Up to 12 controllers per instrument (In-App Purchase). – Arranger: “Insert empty part” (in new “+” menu). – Arranger: Various layout and usability tweaks. – Arranger: Track settings button now accessible at any zoom level when “Wide track buttons” is enabled. – Arranger: Mute, solo and “Duplicate track” buttons now also available in the track settings menu. – Arranger: Added an extra “Edit Part” button at the bottom right which can be used instead of double-tapping a part. – Arranger: More accurate drawing of parts. – Controllers: Each controller now has a toggle whether or not to show it on the Keyboard screen. – Controllers: Added three more standard controllers (Effect 1-3). – Files are now always sorted by name. – Faster deselection when tapping empty area when “Single Tap Selects None” is enabled. 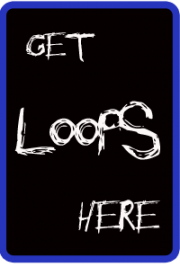 – Recording: Notes triggered during pre-roll are now recorded even with the song loop active and the pre-roll outside the loop. – Various smaller tweaks and improvements. Patterning UPDATE is HUGE!! 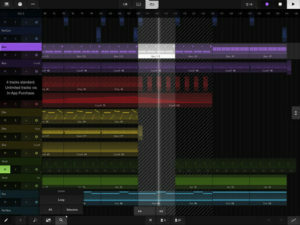 MIDI Mapping, Audio Export, More! !